On Vérité - storytelling and conversations on the source of inspiration or motivation for our work - conducted by writer-producer-director Giovanna Aguilar. Interview by Giovanna Aguilar for my podcast On Vérité. Between 2000 and 2014 about half a million people died in the United States from drug overdoses. 2014 went on record as the year of the most drug-overdose deaths, most of them (6 out of 10) due to opioids. Every day 78 Americans die from opioid overdoses. Behind these statistics of our national health epidemic, as reported by the CDC, there are real, personal stories of families coping with the loss of a family member. 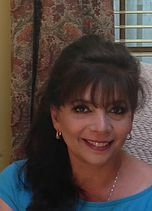 I invite you to listen to an interview with Linda Lajterman who shares with us her profound story of having lost her son Danny (19) to a drug overdose, and how she hopes the message in her book, Life After You -What Your Death from Drugs Leaves Behind, can help open up conversations among families and our youth to prevent others from losing their loved ones to drugs. It can happen to anyone because addiction does not discriminate. Linda is a member of the Family Advocacy Partnership (FAP), created by Steven Rogers, the Commissioner of Nutley, NJ who invited me to facilitate this much needed support and resource group to help families directly affected by drug addition by connecting them to each other. 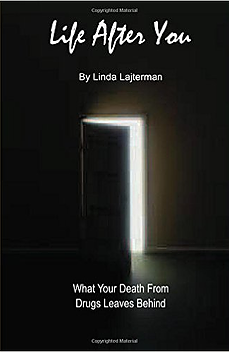 Linda can be reached at www.lifeafteryoubook.com, and Facebook Life After You -What Your Death from Drugs Leaves Behind - and Twitter at Lajterman23. Reinaldo Marcus Green, one of the 25 New Faces of Independent Film (2015) and recipient of the Spike Lee Film Production Grant 2016 (Monsters and Men,) shares best practices with Giovanna Aguilar on filmmaking. On Vérité Top List for Independent Filmmakers is complementary content for an upcoming written article to be published on my blog at Giovanna Aguilar. Watch Reinaldo Marcus Green’s acclaimed short film STOP—a young man's livelihood is put to the test when he gets profiled and stopped by the police on his way home from practice, courtesy of Conde Nast’s steaming platform The Scene.